"She is alive, if you're wondering." When Aphmau stumbles through the portal, she does not expect to see four weirdos who are willing to bring her back home. That's right, Sky, Jin. Barney & Ross. ​We are all going to die. Cover picture created by Sandara. Lord Aphmau has returned, and everything is (almost) as it was 15 years ago. However, most do not know she has returned, and with a new element to her story, she must discover what fate has in store for her... But there are threats looming on the horizon, and secrets have yet to be discovered, and one question is still left unanswered: Why do the pages of the story seem to turn by themselves? In this second installment of the Phoenix Drop chronicles, betrayal will be imminent, blood will spill blood, and the final answers will be in the stars. Me: If you don't mind sempai, I'm off to blast this annoying song into Zane's head! Nyan Nyan Nyan Nyan Nyan Nyan Nyan Nyan Nyan Nyan"
"OMG why u do this to me this just so sad and AWESOME I love it it just *head explodes*"
"Da feelz, da feeeellllzzzz. I pray to you, the all mighty master of feelz!" ​Ashburn, Gemini and Hope are planning to move into a house together on Mystreet. Only problem is, Ashburn's boyfriend Shadow wants to move in with them, but the girls aren't fans of his plan. So he has to gather two friends to live with him across the street from the ladies. What will happen? 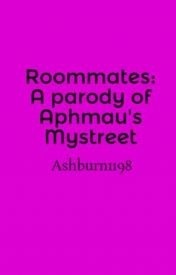 ​This is a parody of Aphmau's Mystreet series, except this series stars some of my BEST FRIENDS! So....Enjoy the random happenings, I guess.